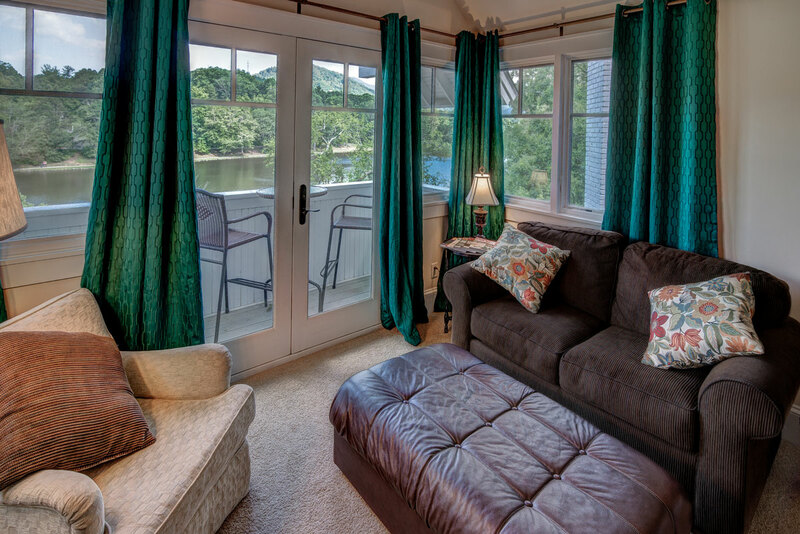 Large lake-facing room is named for Lookout Mountain, one of the many peaks north of the B&B. 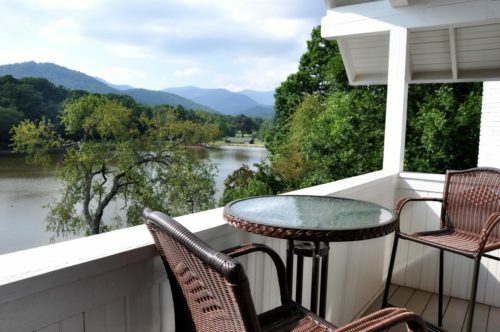 It is located on the second floor with a beamed balcony that provides spectacular views over Lake Tomahawk and up toward Craggy Gardens and the Blue Ridge Parkway. 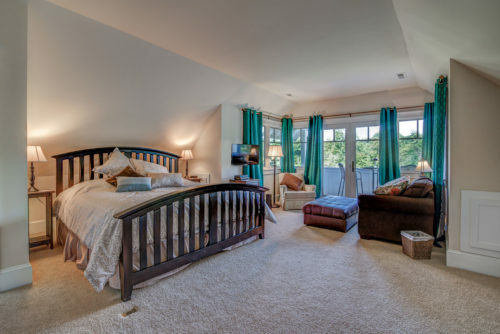 Snuggle down in the plush king-sized bed and wake up to these mountain views. Put your feet up and relax in the sitting room with its oversize ottoman, sofa and chair. 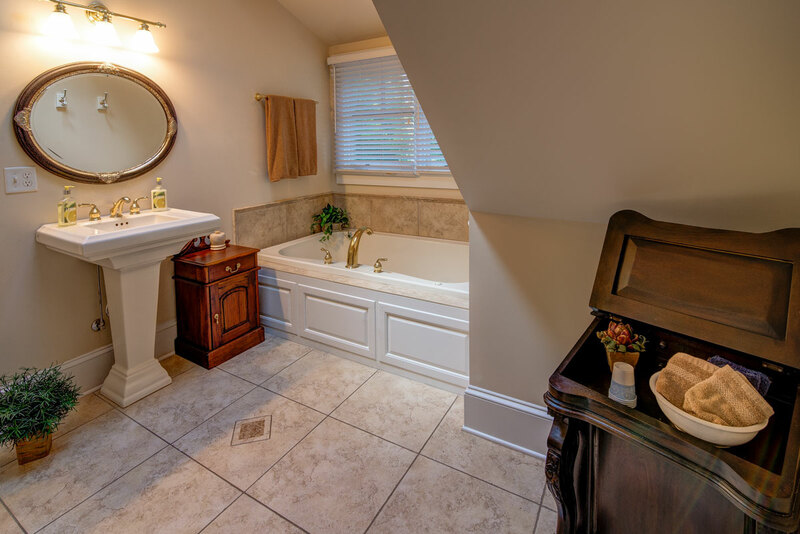 Step into the sunlit bath and pamper yourself with the glass shower, pedestal sink, and two-person whirlpool tub.